Thank you, Sara. 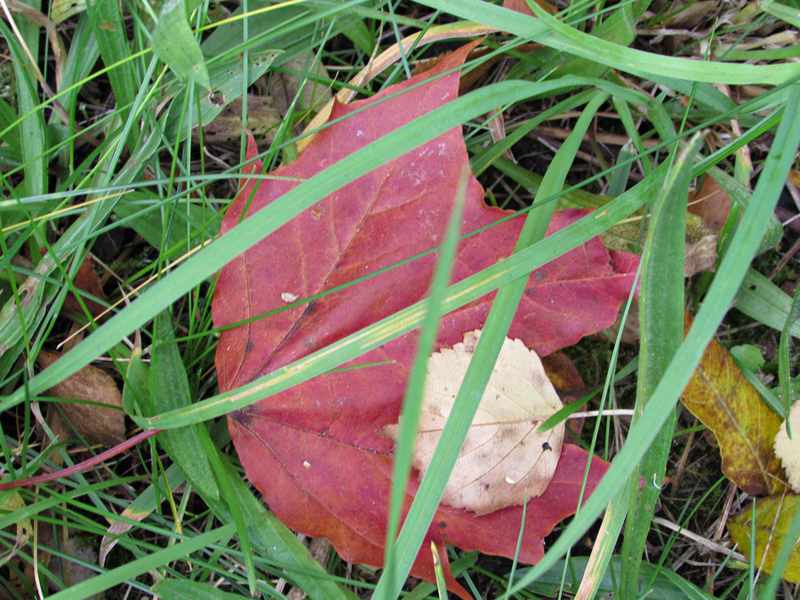 Looking at fallen leaves is one of my favourite things to do in the autumn. Red in a green jungle. Hi! I enjoyed your autumn photo posts very much. I like autumn leaves very much. Thanks for sharing. Thank you. I'm the same as you, I like looking at the autumn leaves a lot! Pretty leaf and color, lovely image. Enjoy your day! Thank you - and you too, Eileen!